It's time for writer Jason Aaron to take charge of Marvel's flagship superhero comic. And, once again, Aaron is clearly playing the long game here, launching what promises to be a tremendous epic. Marvel’s “Fresh Start” initiative is essentially just the latest relaunch, and as a result we have another Avengers #1. It’s an appropriate time to relaunch Marvel’s flagship book, though, with a whole new creative team taking charge. Jason Aaron is the new Avengers writer, and he’s continuing the story he launched in last year’s Marvel Legacy one-shot. The issue’s release is also timed for straight after Infinity War hit the theaters, a smart bit of planning. With Brian Michael Bendis now having left for rival publisher DC Comics, Jason Aaron and Dan Slott are essentially becoming Marvel’s flagship writers. Aaron’s Thor run has demonstrated that he loves to play the long game; the seeds of the Mangog’s arrival were sown as far back as his Thor: God of Thunder run in 2014. That means this is probably the first issue in an epic that will run for years, and it’s definitely a must-read. 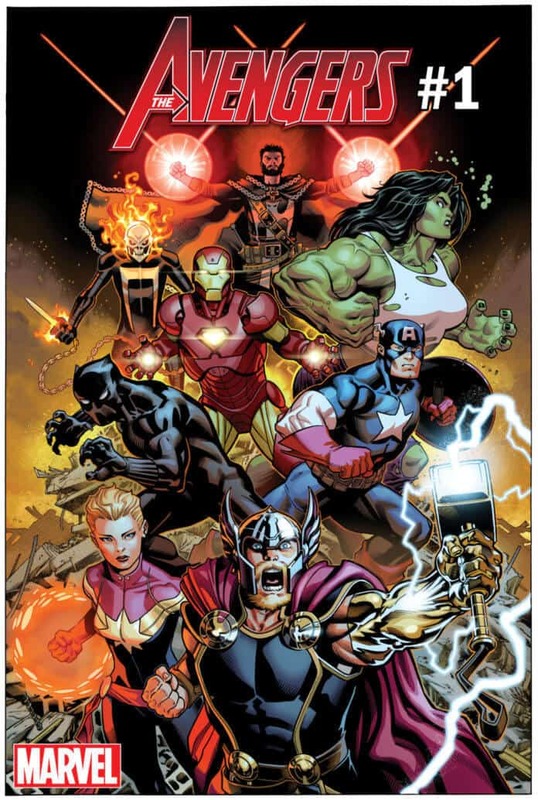 The Marvel Legacy one-shot introduced readers to the first Avengers team, formed one million years ago. To date, they’re still rather mysterious; their numbers include the first Iron Fist, the first Black Panther, Odin the All-Father and a Phoenix Host. This issue opens with another flashback to that time, dropping more intriguing hints as to their characters and motivations. The Avengers of 1 million BC are facing an enormous challenge; the arrival of the Celestials. 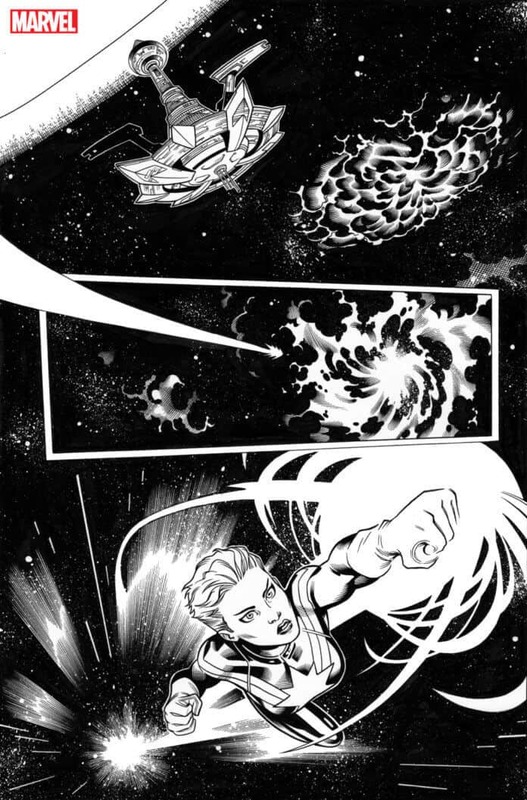 Meanwhile, in the present, a new Avengers team is about to form. Marvel’s “Trinity” – Captain America, Thor Odinson and Iron Man – are finally united. They’ve been through a tough time over the last few years (as Tony snarkily notes, “Hydra Cap, Coma Tony and the Unworthy Thor”), but, with Marvel pivoting away from the “Legacy Heroes” approach they’ve used for the last few years, it’s time for the classic heroes to step up once again. Steve Rogers is determined to reform the Avengers, Thor is backing him and Tony… well, he’s resigned to the inevitable. Aaron’s portrayal of Tony Stark is a highlight of the issue, with the conflicted genius hesitant to get the band back together. It adds a fun dynamic of conflict to a scene that could easily have been quite bland. But any new Avengers team needs a cosmic team, just as the classic Avengers lineup needed Loki. That kind of threat is something Jason Aaron excels at writing, as he dives deep into the mysteries he first teased in the Marvel Legacy one-shot. Something is happening to the Celestials, something is killing them, and now, a new “Final Host” has arrived. 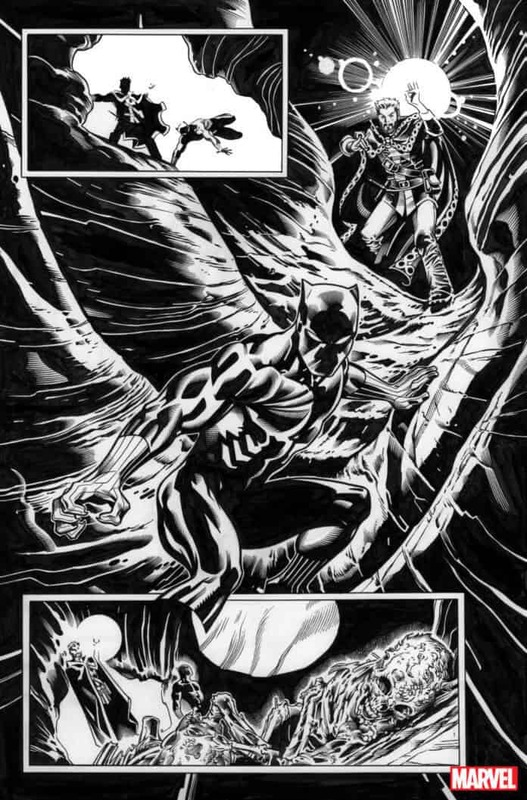 Meanwhile, on Earth, Black Panther and Doctor Strange are investigating something that happened millennia ago – clearly what the first Avengers did in 1 million BC. It does feel rather odd that Marvel have waited months before developing the ideas they toyed with in the one-shot. Frankly, it almost feels as though they released the one-shot before they were ready for it, and only now are positioned to take advantage of those concepts. Still, Aaron does a good job filling new readers in on what happened. The art here is absolutely gorgeous. 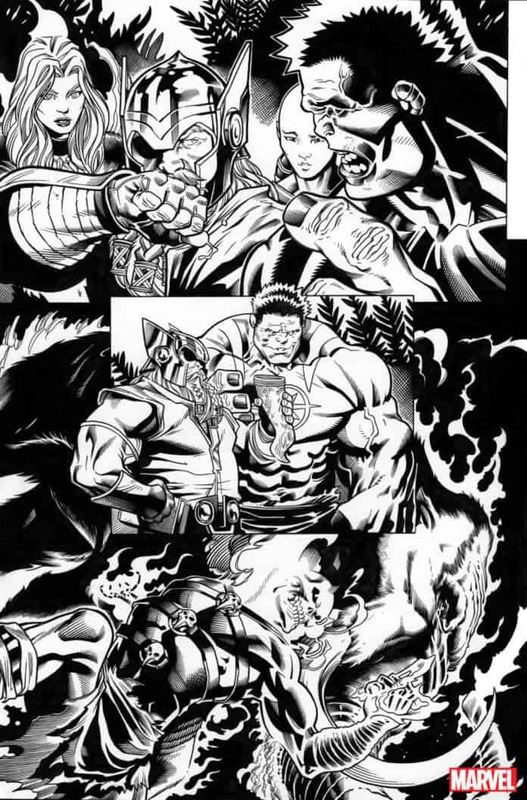 Marvel have definitely commissioned a top-tier creative team for this book, one whose skills are more than up to the job of helming an Avengers comic. 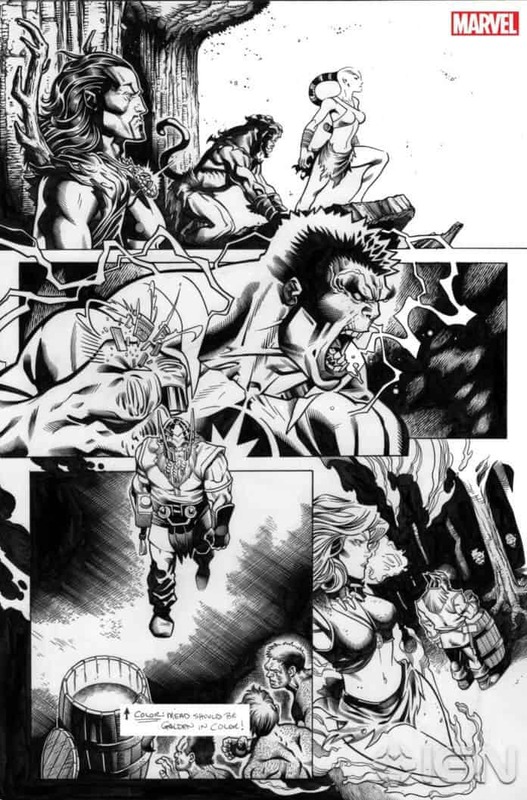 Mark Morales is clearly having a blast with the Avengers of 1 million BC, while colorist David Curiel gives each location a distinctive tone and style. For all that’s the case, though, he chooses a slightly darker palette for each scene, creating a sense of grim foreboding that perfectly suits a tale of cosmic judgment. Admittedly, there are a couple of moments where the art doesn’t quite match the dialogue – Tony Stark’s dialogue sometimes doesn’t quite match the vigor and apparent anger that the artists give him. But, given Motherboard refers to an “angry soliloquy,” it may be the dialogue was intended to be a little stronger than it reads. With Jason Aaron on board, Avengers #1 reads like the beginning of a new era and as such, this issue is absolutely unmissable.